Help Warren Easton Keep It 100!! 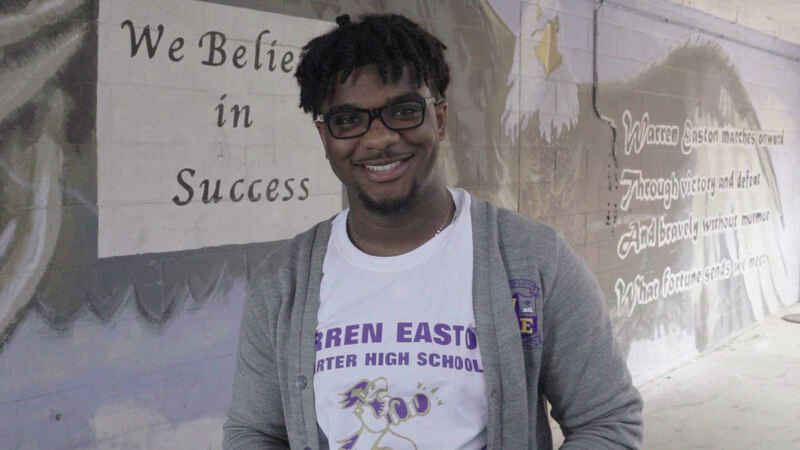 In the fall of 2016, the students of Warren Easton had an idea and design for a T-shirt. They wanted to proudly proclaim the 100% graduation rate their school had achieved for the past six years, and to challenge their classmates to maintain this success year after year. Principal Alexina Medley agreed, and the T-shirt was designed and ordered for the Eagles Nest. The response was overwhelming. We had so much interest in how to help continue this remarkable achievement that we've decided to create a fund dedicated to this goal. Your donation to the Keep It 100 Fund will go towards programs such as after school and Saturday tutoring, summer enrichment camps, project based learning opportunities, freshman summer bridge camp, and other programs that keep our students in school and on track. A monthly gift does even more to help us Keep It 100. If you become a monthly donor of $10 or more through our website, you will receive a "Keep It 100" T-shirt to wear with pride. Or, for one-time gifts of $100 or more, we'll send a T-shirt for you to wear to help remind our students to keep reaching for success. With your help, 100% graduation is now a goal we can all be a part of and a true gift to our wonderful students. Thank you for your support in helping 100% of our students cross that stage every year! In honor of Louis Bullock's Birthday!